Sell your domain name, privately, with no sales commission! You cannot use this domain name for sale. or buy a domain name! Papaki provides this service for €4.90 per year, per domain. You keep 100% of the sale! 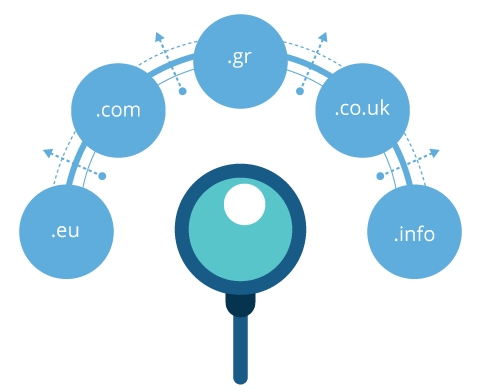 Are all the domains you are looking for already registered? There are owners interested in selling their domains, at low prices! Search domains for sale at Papaki’s sale page. Fill in the form to express your interest and the seller will contact you. Why should I use Domains Market? Do you own domains you do not use? Domains Market is an easy and effective way to reach possible buyers for those domains. Your domains for sale will be displayed to thousands of users, in domain search results and also on the Domains Market place. Where on the site are my domains for sale going to appear? Your domains for sale will be promoted in the best possible way to prospective buyers and Papaki’s customers. 2. In domain search results, each time a user searches for a domain that is for sale. In addition, the Domains Market service has been promoted to thousands of our customers and domain owners, via our accounts on popular social networks, newsletters and special offers. Does Papaki intervene in order to sell the domain for sale? Any communication regarding the sale of the domain name takes place between the owner of the domain for sale and the prospective buyer. Papaki does not intervene in financial transactions or communications regarding the sale.